February 11, 2010- AleaSoft celebrates its tenth anniversary as a leading provider of energy forecasting solutions. Today, AleaSoft clients are key players in European energy markets. These include Endesa, Iberdrola, Gas Natural-Unión Fenosa, EON, BP, Shell, IGDF SUEZ, Enel, EDF and Slovenskè Elektrárne. AleaSoft solutions are also used by National Transmission System Operators (TSO’s), such as REE (Spain), Terna (Italy) or FEDA (Andorra). AleaSoft was founded in 1999 and began operations in 2000 as a spin-off of the UPC (Technical University of Catalonia) which is both partner and main technology provider. 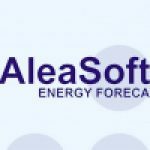 During these 10 years, AleaSoft has steadily developed research projects on energy demand and price forecasting, securing its position as market leader. With this constant innovation, AleaSoft maintains among its customers leading energy companies like Endesa, which has 10 years of continuous collaboration in the implementation of new projects. For 2010, AleaSoft plans to strengthen its presence in Eastern Europe and to enter the markets of Turkey and Greece, where it has already reached agreements with distribution companies. AleaSoft also has international expansion plans for the American and Asian markets. As a result of its research and development, AleaSoft has developed a new product tailored to energy distributors and suppliers.